Luis Ocampo is a NC army medic with 6 years of honorable service. 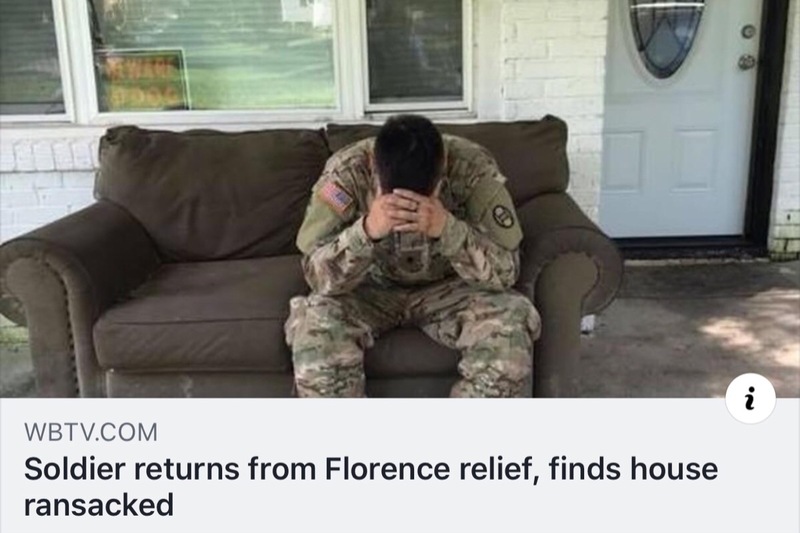 Recently he was on State active duty helping with hurricane Florence relief efforts...he returned home to an empty ransacked house. He did all he could to help those in a time of need and now he is the one in a time of need. Every penny could help himself, his girlfriend and their baby. I have worked closely with Ocampo, in the national guard and he is an amazing soldier and person. I am honored to know him and cannot believe something so terrible could happen to someone so dedicated to the service, his family and school. Recently, I have been receiving many messages regarding re-opening the donations to Luis Ocampo. Due to everyone's generosity, Luis will be able to move on from this terrible event and replace what he lost! Please understand that this fund was not created to create a capital profit, it was designed to help a soldier in need. Due to so many people requesting we re-open the fund, Luis and I have come together to offer another option as a way to give back - donating to the charity of his choice. Luis has chosen the Soldiers and Airmen Assistance Fund (SAAF). 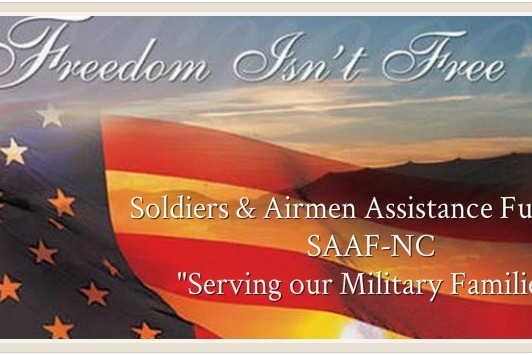 The SAAF is a non-profit charitable organization that gives grants to soldiers in need. Below you will be able to find the link, directly to where you can donate to the SAAF. This way, you will be able to support other soldiers in need and give back to the community, on behalf of Luis. Thank you for your continued prayers and may God bless you all. Thank you so much to all who have donated, your generosity and willingness to help a soldier in need is simply amazing. The goal set has now been surpassed almost 3 times as much! With the support from the unit, family, and friends Luis and I are confident he can come back from this and rebuild. We are so grateful for these donations beyond belief. We will soon be ending donations and hope that everyone understands. We do not want to take anyone's generosity for granted. Thank you so much again, may God bless you all.